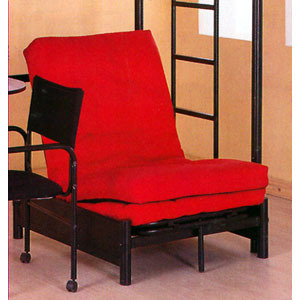 Futon Chair. Converts Easily Into A Bed For A Sleep Over Friend. Futon Chair Size: Approx. 78.2 In. Long x 32 In. Wide. Black Finish. Durable Construction. Mattress is Optional. Many Colors are available with the Futon Mattress.